Gorgeous builders model located in the upscale community of Providence. Feel the quality and elegance as soon as you walk in the front door. Starting in the large and modern kitchen equipped with the latest stainless steel appliances, large island with storage, huge double door pantry, beautiful stone countertops, and tile backsplash accenting your cabinets with a fantastic brown finish. Right off the kitchen, you are presented with your formal dining room/kitchen nook, dining room, laundry room and powder room(1/2 bath) leaving plenty of room for a growing family! Fresh paint and builder upgrades are displayed throughout the entire home. 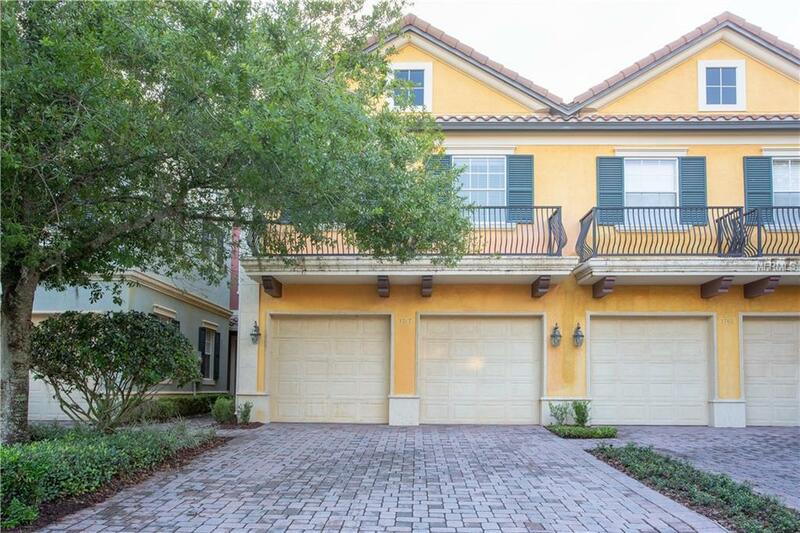 Crown molding and molding accents are found throughout this townhome leading you into the living room with high ceilings that bring in tons of natural lighting showcasing the utmost beautiful mature landscaping and lake views right in your backyard. The tiled wall creates a terrific accent bringing in modern taste and design. Two-toned staircase with steel designs leads you upstairs to where you'll find a spacious master bedroom with access to your own private balcony offering the best sunset views while you enjoy an after dinner cocktail! Master bath equipped with his and her sinks, a jetted soaking tub and separate shower stall. Leading to the additional two bedrooms you will find the convenience of a built-in office area, making it easy to work from home, or use as an area for the little ones to do homework! Each bedroom provides ample space and furnished with their own walk-in closets and ceiling fans. A truly magnificent home located in an extremely impressive community that offers security with a guard/gate and TONS of amenities. Additional Lease Restrictions Please Contact The Hoa At Providence For Any Processes Required. Pet Restrictions Please Contact The Hoa At Providence For Pet Policies/Restrictions.